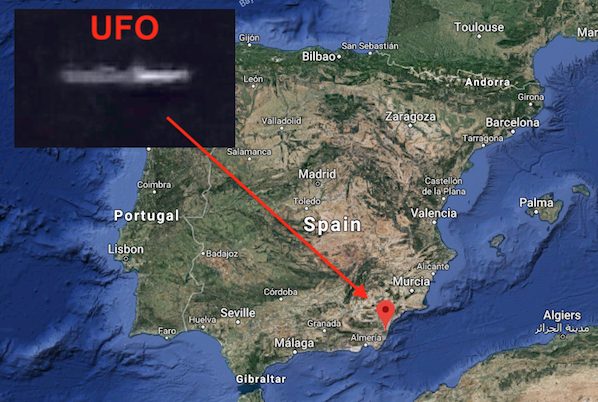 UFO SIGHTINGS DAILY: UFO Over Mountains of Sierra Cabrera, Spain June 28, 2018, UFO Sighting News. UFO Over Mountains of Sierra Cabrera, Spain June 28, 2018, UFO Sighting News. 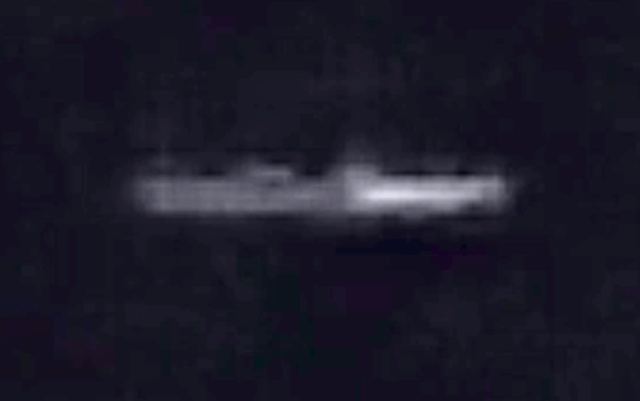 This UFO was recorded and sent into us at UFO Sightings Daily by Twitter user @RoyGibbo. This is a awesome sighting of a cigar UFO. Its very long and looks like a disk viewed from the side. He says it looks big and boy is he right. This is one big UFO! It looks like its rotating and almost has the appearance of a submarine from the side. A rare sighting indeed. I was taking my dogs for a walk in the evening before going to bed, I enjoy looking at the sky while walking but I hadn't looked up until I was at the end of my driveway on this occasion so when I did look up I was so shocked to see this craft. It was absolutely enormous! I could tell where it was in the distance as it was over some local mountains around Mojacar in southern Spain, I could tell that the size of the thing was like the Empire State building on its side and it wasn't moving at all, it stayed very very still. I ran back to my house in flip flops as fast as I could with my dogs behind thinking what's up. Well I captured this video and I was still in shock at the size off the thing, it slowly faded out slowly in a seemingly controlled manner so it wasn't bright at all so my phone that I took the video on couldn't see it but I could still see it a very little bit for a few more seconds and then it was totally gone, it didn't fly off or move, it just disappeared. It was so strange! !